Play one of the most exciting retro slots with a modern twist, Hot Hot Fruit slot, for a chance to win one of the game’s large jackpot prizes. 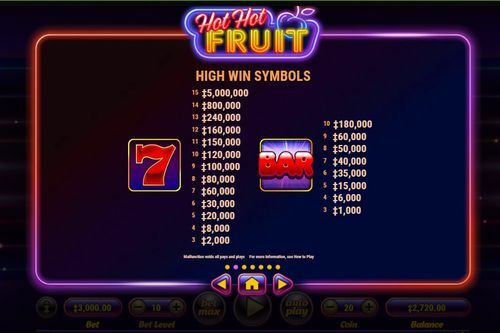 Purple plums, fire grapefruits, pink watermelons and few Wild symbols are the essential symbols of the full-retro Hot Hot Fruit slot. This is one of the better-looking retro games that we have seen in our career as slots experts. 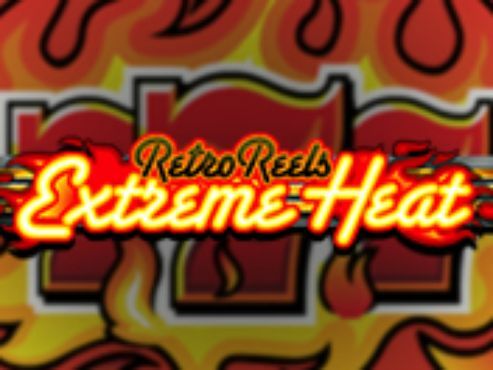 Compared to dozens of titles that play on the same theme and the look and feel, the Hot Hot Fruit slot is one that manages to break through the expectations of the genre. Instead of the standard fruit symbols and predictable gameplay, this Habanero Gaming release comes with a bunch of its own twists and turns, including the bonus features that make it one of the better releases out there this year. What is more, Hot Hot Fruit comes with few jackpot prizes of its no - no progressive jackpot, but jackpot nevertheless, is what will entertain both pro and novice players in the world of online casinos. Setting up for the gameplay on takes changing frw controls. The paylines on the game are fixed, so the bet is determined by selecting the Coin Size and the Bet Level. The first setting is altered fin the right half of the bottom of the screen. There, the smallest amount that can be selected for a coin size is £0.01 and that amount can go up as high as £20 per spin and at the first level of the bet, the total wager per spin equals £300. However, if you select any of smaller amounts, the bets can reflect amounts such as £0.15, £0.30, £1.50, £3.00 and so on. Another factor that factors-in the setting of the bet is the Bet Level. This setting is basically a multiplier to the selected Coin Size, which automatically extrapolates across the paylines. If you select the second level, the amount will be multiplied by two. You can play on the maximum of the tenth level and that results in the most expensive wager of an exorbitant £30000. 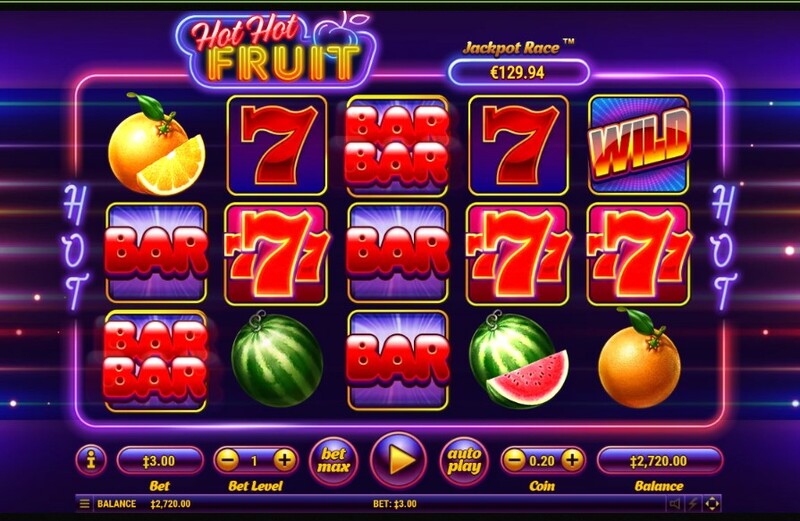 Indeed, the Hot Hot Fruit slot is one of those unbelievable games that that can play for as little as £0.15 per spin, or for such heavy sums such as few thousand pounds. Few more things to look out for, that can help you enhance your gaming experience, are the Autoplay function and the Paytable. The first is a way to set the reels spinning without repeated pushing the Play button. You can select many turns that can be taken automatically. As for the paytable, that can be accessed from the 'i' button in the far left bottom corner. This is where you can see all of the symbol's values and information about the bonus features. 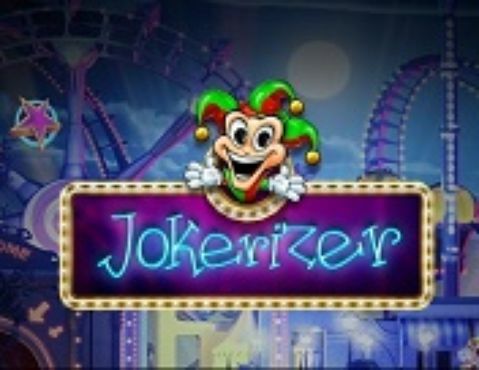 The Habanero Gaming crew have created a swell piece of a slot game with excellent graphics and a gameplay that is as entertaining as it is thrilling. What this game is lacking is nothing. 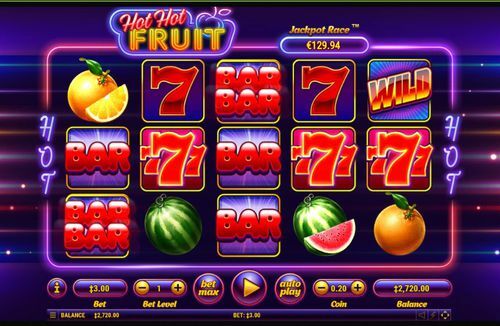 You will find all of the elements that go into a slot game, that create an adventure for the player which in the case of Hot Hot Fruit slot, gets as close to the real casino experience as it could. The background is a dynamic and a tad sci-fi tubing of lights that converge in the same point - somewhere behind the reel-set. The symbols are few fruits and the Lucky Seven and the BAR symbols, but with a twist. The symbols may be retro in character, but how they appear is a different thing. Once part of a winning combination the symbols jump to life, becoming animated. There is also a piece of eye candy that the developers didn't have to throw in there, but they did anyway. Whenever there is a big win, all of the symbols on the reel that have become part of that view will turn to neon signs and flash in a spectacular manner. Also, whenever there is a winning combination that involves any of the fruit symbols, they become sliced in half, ready to be enjoyed. The game has a number truly valuable symbols and a number of specialty symbols. The highest paying symbols of the game are the Lucky Seven and the BAR. These, like the other symbols, can also form clusters for a winning combination. On the Hot Hot Fruit slots dynamic paytable you will see reflected the pay amounts for any wager that you select. It immediately falls in your eyes that the Seven and the BAR pay the highest amounts. Now we know that there are probably three people in the world who are going to place the game's highest bet of £3000 per spin. 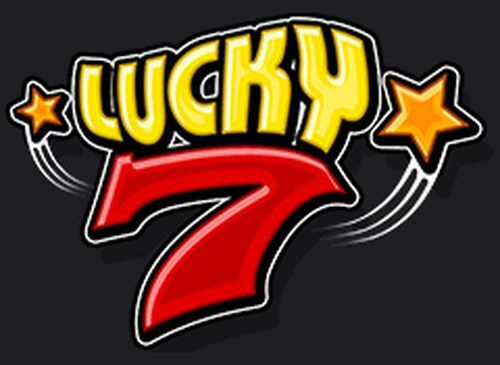 In that case the top payout price for a cluster of 15 of the Lucky Sevens symbol sings to the tune of £5,000,000, while ten of the BAR symbols will pay £180,000. If you want to check out what the pays are with smaller, that is, more normal and sensible bets, you are welcome to do see and see what the possible win amounts reflect. Another important piece of information about winning the game are the Hot Hot Fruit free spins. Landing three or more Wild symbols results in 6 free spins, however, if the Wild symbols appears left to right and right to left with the Wild symbol on reels one and two and the Wild Wild symbol on reels four and five, the number of free spins becomes double at 12. Any symbol then that becomes part of a winning line will stay in place during the free spins. 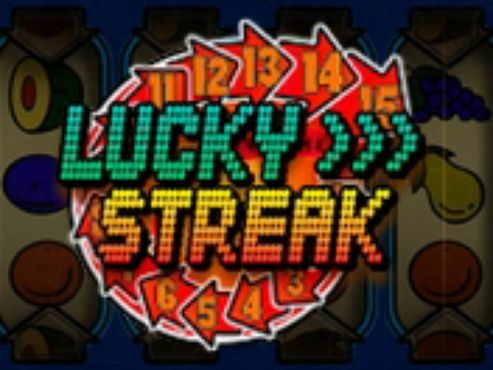 These symbols can become double or triple in pay and the maximum number of symbols that can lock on the reels during the free spins bonus is 14. 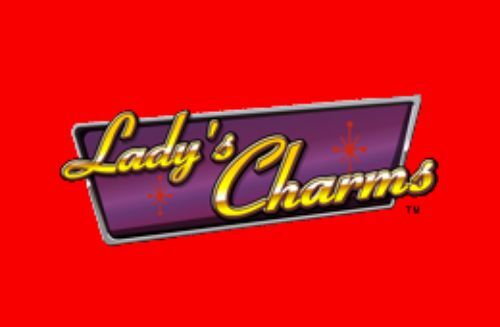 If you are ready to embark on this retro adventure, you can start here by claiming a welcome bonus at one of the casinos right on this page.